Are you looking for quick Cricut gifts to make for your favorite couples for the holidays? Then you’ll love my naughty and nice iron-on t-shirts! In this post, I’ll share the cut files for two naughty and nice couples t-shirt sets. You can make them as-is or further customize each project in Design Space. This post contains affiliate links. I may receive compensation (at no added cost to you) if you make a purchase using these links. Materials for this project were generously provided by Cricut. Since I got the Cricut EasyPress 2 this summer, I have been a crazy iron-on fool! I have been ironing-on (or is it iron-oning?) projects left and right. In September, I even had the wacky idea to iron-on thirty Oriental Trading Mini Canvas Tote Bags with the logos of my blog and Jessie At Home’s blog for a shawl styling demo we did at In the MKNG. I was so delirious afterwards that I forgot to take pictures of the completed bags. Even with an EasyPress 2, ironing-on 60 logos in one sitting is no small feat. But trust me, the finished bags were awesome! The point of this little story is that without the stress of ironing (and the stress of pulling out an ironing board in my one bedroom apartment), I am totally free to make as many iron-on projects as I want. When Angie from The Country Chic Cottage, Carolina from 30 Minute Crafts, Jen from 100 Directions, and Jessica from Mad in Crafts invited me to participate in their Cricut Holiday Event, I knew I would be having some iron-on fun. Christmas is much more fun for the kiddos than the adults, so I wanted to make some t-shirts for some of my favorite couples for the holidays. I mean, why shouldn’t the grown ups get to have fun, too? I decided to do a play on the theme of naughty and nice and make two different sets of shirts. Each one includes a “naughty” cut file and a “nice” cut file. You’ll need to decide who in each couple is deserving of which project! This is an easy peasy iron-on project that is perfect for Cricut newbies or pros. Newbies can make the shirts as-is, and Cricut pros can customize the cut files to include additional images or different fonts. Gildan Women’s V-Neck T-Shirts and Gildan Adult Short Sleeve T-Shirts in your choice of sizes and colors. Use my cut files in Design Space “as is” by clicking on Make It, or customize by looking for images (my search terms were “Christmas tree,” “gift,” and “Christmas stockings”), changing the fonts, or adjusting the sizes to better fit on your shirts. Make sure you “mirror” each mat before cutting and place the iron-on shiny side down on the mat. Choose your cutting materials in Design Space and it will let you know what to do next! Once all your pieces are cut, trim away excess unused iron-on with your scissors to save for your next project. Use your weeder to remove iron-on from around your cuts. While it’s pre-heating, set your first shirt on the 12” x 12” Easy Press Mat. Use the EasyPress 2 to press out any wrinkles on the center of the t-shirts before you get started. Position the iron-on on your first t-shirt with the clear liner on top so that the text is facing you and readable. You can center your iron-on, set it at a diagonal, or position it another way. Make it your own! Press the iron-on on the shirt using the heat setting and time recommended for your type of iron-on and 100% cotton. Once you have pressed the iron-on, peel off the clear liner carefully following the instructions for “cold peel” or “warm peel” based on the material you used. Don’t forget to adjust the temperature and time settings on your EasyPress 2 if you switch to a different type of iron-on between shirts, like I did! 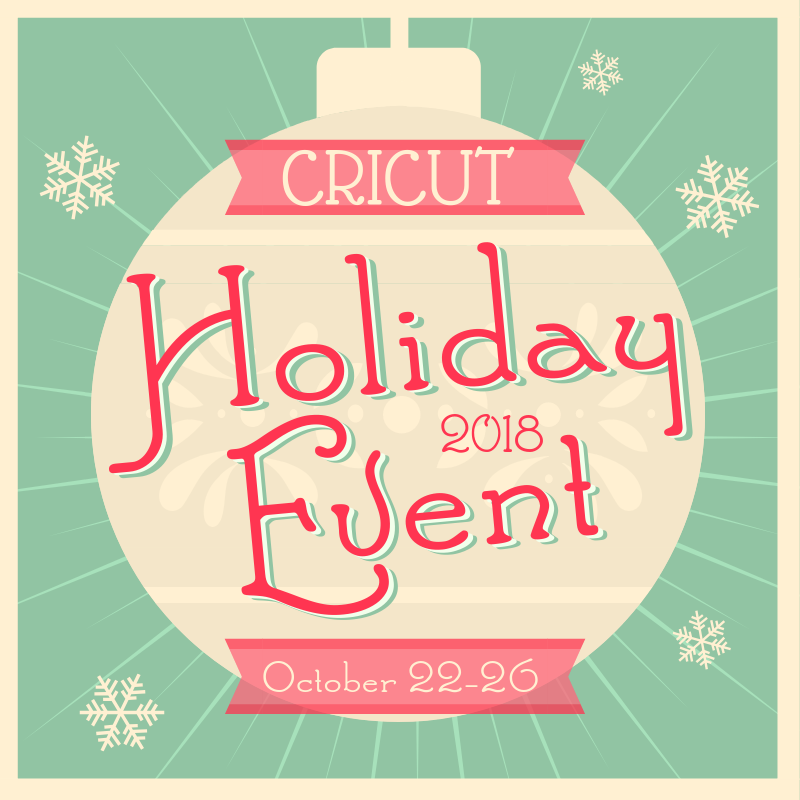 Check out the rest of the projects in the Cricut Holiday Event below! Are you looking for a fun way to tell the world you love to crochet, or a great gift for your favorite crocheter? I’m sharing a quick and easy project for a Crocheters Gonna Crochet project bag that you can make in (much) less than an hour! This post contains affiliate links. I may receive compensation (at no added cost to you) if you make a purchase using these links. Materials for this post were generously provided by Cricut, Oriental Trading, Lion Brand, and Clover USA. I’m so excited to be part of Everything Iron-On with with Angie from The Country Chic Cottage, Carolina from 30 Minute Crafts, Jen from 100 Directions, and Jessica from Mad in Crafts. You will find dozens of great iron-on projects you can make with your Cricut in this online event, and there’s even a great giveaway going on (enter at the end of this post), so read on for details. Although I used my brand new Cricut Maker (I cannot get tired of saying that!) for my project, you can also use any of the Cricut Explore family machines to make your version. Set your pressure setting dial to “Custom” on the Explore machines. For Maker and Explore, in Design Space set material to Foil Iron-On. Select “mirror on” so your images will cut correctly. Place the Foil Iron-On on the cutting mat with the liner (shiny) side down. Follow instructions in Design Space to cut your iron-on pieces, being sure to mirror the second piece, too. Use your weeder to remove the excess iron-on from each piece of your project. Tip: Cut excess pieces away before weeding so you can use the iron-on for another project. Use your iron or EasyPress to press your Canvas Tote Bag so it’s relatively wrinkle-free before you start. Position the bottom piece of Cricut Foil Iron-On (the yarn ball alone) as desired so that the iron will be touching the clear backing side and the back of the iron-on is touching the tote. Press the iron down firmly following the iron-on instructions until your yarn ball is firmly attached. Allow to cool completely before removing the clear backing sheet. Position the larger piece of Cricut Foil Iron-On (with the phrase and yarn ball) so that both layers of yarn are aligned. Make sure the words are right side up so that the iron will be touching the clear backing side and the back of the iron-on is touching the first layer of iron-on and the tote. Follow the instructions above to adhere the iron-on. Now that your bag is finished, stuff it with your favorite crochet goodies! Mine includes a skein of Lion Brand Feels Like Butta and a Clover Amour crochet hook. P.S. : If you like to live on the edge, I also made a Hookers Gonna Hook cut file in Design Space. I made a practice version, but alas, it turns out you are NOT supposed to layer glitter iron-on because it will loose its stick over time. It was still a fun practice project! Find more great Cricut Iron-On projects from other bloggers participating in Everything Iron-On below! My sister and I have a little joke between us about who my mother’s favorite daughter is. No, it isn’t the typical sibling rivalry. We know there’s another daughter that has us beat for sure. When the ladies behind Craft Lightning announced the challenge of making a 15-minute craft project for Mother’s Day, I knew that I wanted to celebrate my mom’s favorite daughter with a very special gift: a magnetic photo frame. This post contains affiliate links. Materials for this project were generously provided by Cricut, Petaloo by FloraCraft, and Scrapbook Adhesives. So, who is this mysterious “favorite daughter?” Her name is Kiki and, with a face like this, you can see how she has edged out her two human sisters. I’ve recently been exploring my Cricut Explore Air. One of its features is that it can cut a huge variety of materials. (You can find a chart specifying which mat and blade to use for different materials here.) Yesterday, I shared a tutorial for cutting customized magnets. I had about half of a magnet sheet left, and I thought about those cute little photo frames that seem to live on every mother’s refrigerator. Since my sister and I are now full grown adults, my mom no longer has our drawings and classwork up on the ‘fridge, but she does have some special souvenir magnets that my sister has brought back from her travels. Printable magnet sheets (I used about half of one 8-1/2″ x 11″ sheet for my photo frame). 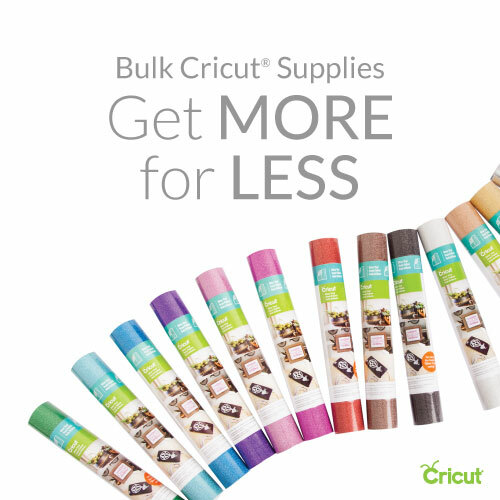 Cricut Explore pens (I used the 1.0 tip marker from my Black Multi Pen Set). Strong Grip Mat (I used the one from the Cutting Mat Variety 3 pack). Cardstock (I used about half of one 8-1/2″ x 11″ sheet for my photo frame decoration). Scrapbook Adhesives E-Z Runner Permanent Strips Refillable Dispenser. Petaloo Darjeeling Mini Butterflies (I used three from the 8 Teastained Red package). Magnet frame cut file in Cricut Design Space. Magnet frame decoration write and cut file in Cricut Design Space. 4″ x 6″ photo (with main image fitting in 3″ x 4.5″ center of photo frame). Use the magnet frame cut file in Cricut Design Space and a magnet sheet to cut the magnet outline. See this tutorial if you’d like to design your own photo frame in Design Space. After choosing “Go” from the top menu, select the size of your magnet sheet from the drop down menu. The magnet cut out will be automatically re-positioned to minimize waste of the magnet sheet. Choose “Custom” on the pressure setting wheel and then select the type of magnet sheets you are using from the drop down menu. Once your magnet is cut, you can remove it from the mat. Use the magnet frame decoration write and cut file in Cricut Design Space and a piece of cardstock to write and cut the magnet frame decoration. If you’d like to adjust the writing, click “Detach” from the Layers menu. You can then make any adjustments to the file. Once your write and cut file is ready, choose “Go” from the top menu. Select the size of your cardstock from the drop down menu. The decoration will be automatically re-positioned to minimize waste of the cardstock. Choose “Cardstock” on the pressure setting wheel. Design Space will prompt you to load pens. If you’ve written in several colors, you will receive prompts at several points. Once your cardstock writes and cuts, you can remove it from the mat. Roll the E-Z Runner adhesive dispenser across the back side of your cardstock. Once the back is thoroughly covered, gently position the cardstock over the magnetic photo frame. When you are satisfied with the position, firmly press the cardstock into place. Decorate your photo frame with your Petaloo Darjeeling Mini Butterflies. Once you’re satisfied, trim away any excess and place your photo behind the frame. It is now ready to sit on the refrigerator in its full magnetic photo frame glory. Pretty cute for 15 minutes, right? I’m excited to be part of another round of Craft Lightning, where bloggers are challenged to create 15-minute crafts around a theme. Our theme this time around is Valentine’s Day. As soon as I signed up, I knew I wanted to make something that involved food (one of my favorite parts of the holiday), so I decided on a jar mix. And, what better jar mix for Valentine’s Day than one that can be turned into breakfast in bed? I needed to take the craftiness up a notch – and that’s when I remembered that I still had some vinyl from Expressions Vinyl in my goodie closet. The vinyl heart on your jar mix is a the perfect touch to make this gift extra special. This post contains affiliate links. Materials for this project were generously provided by Cricut, Expressions Vinyl, and Oriental Trading. This project really can be done in 15 minutes (once you gather your supplies), but it’s broken down into 3 parts: preparing the vinyl, preparing the jar mix, and finishing the jar. I’ve also included a printable recipe card that you can attach if you’re giving the pancake mix to a friend (or if you think you may forget how to put the pancakes together for your special someone on Valentine’s Day morning). You can find more Craft Lightning projects by visiting the hosts at The Country Chic Cottage, 30 Minute Crafts, and Make Life Lovely. If you make your own Pancake Breakfast for Two Mix or Vinyl Decorated Milk Bottle, I’d love to see it! Share your progress and questions by tagging me on Facebook as @Underground Crafter, Instragram as @ucrafter, or Twitter as @ucrafter. Sign up for my weekly newsletter and get a coupon code for your choice of one of my premium crochet or knitting patterns and other subscriber goodies. Plus, you’ll never miss one of my free patterns, tutorials, or recipes again! 1 ribbon, approximately 20″ (51 cm) long. Cotton ball or paper towel. 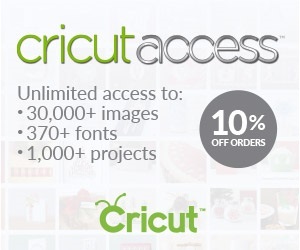 Use Cricut Design Space to customize the image. I used Heart #M2F695 from Ashlyn’s Alphabet, which is free with Cricut Access, and sized it so that it would measure about 2″ (5 cm) tall. To cut the Expressions Vinyl Series 51 Premium Permanent Vinyl, set your machine’s materials dial to Vinyl. Place the vinyl on your cutting mat with the glossy, vinyl side up. Trim the Expressions Vinyl Series 51 Premium Permanent Vinyl down to a more manageable size using your trimmer and/or scissor. 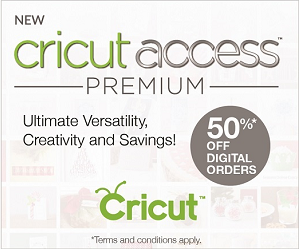 Use the Cricut Tools Weeder to remove the space around your image. Cut the Expressions Vinyl Transfer Tape so that it fits over your vinyl image. Wipe the surface of the milk bottle clean using the rubbing alcohol and cotton ball or paper towel. Allow the surface to dry. Remove the backing from the transfer tape. Place the adhesive part of the tape over the vinyl. Position the transfer tape with the vinyl over the milk bottle. Use the scraper to rub the vinyl into place, flattening out any air bubbles. When the vinyl is correctly positioned, peel off the transfer tape. Prepare Pancake Breakfast for Two Jar Mix (recipe below). Fill milk bottle with jar mix. Wipe flour off container with paper towel. Tie ribbon in a bow at narrow neck of milk bottle. This recipe was adapted from the Basic Pancakes recipe in my all-time favorite cookbook, the Joy of Cooking. I used 1/4 cup dried cranberries (craisins) and 1/4 cup toasted, chopped pecans. You could use another dried fruit and nut combination, or 1/2 cup mini chocolate chips. If you don’t use sweetened mix ins, add another 1/2 Tablespoon granulated sugar to the flour mixture. A small bottle of maple syrup is optional, but it does take the gift up a notch! Pancake Breakfast for Two Jar Mix recipe card. Download the Pancake Breakfast for Two Jar Mix recipe card. Combine flour, sugar, baking powder, and salt in small bowl. Pour flour mixture into milk bottle. Tap gently to flatten. Pour in flavorful mix ins, pushing down gently if necessary. Preheat lightly greased griddle or frying pan on stove top. Pour contents of jar mix into a large bowl. Pour milk, butter, eggs, and vanilla over jar mix. Whisk together until just combined. Pour approximately 1/3 cup of batter onto hot griddle for each pancake. Turn with spatula when the top of pancake is covered in bubbles and some bubbles have popped open. Cook until other side of pancake is lightly browned. Serve hot or keep warm in 200 degrees Fahrenheit oven until ready to serve. © 2017 by Marie Segares (Underground Crafter). This recipe and tutorial are for personal use only. You may use the recipe and tutorial to make unlimited items for yourself, for charity, or to give as gifts. You may sell items you personally make by hand from this recipe and tutorial. Do not violate Marie’s copyright by distributing this recipe and tutorial or the photos in any form, including but not limited to scanning, photocopying, emailing, or posting on a website or internet discussion group. (You are welcome to print out the recipe card to include with any jar mixes you make.) If you want to share the recipe and tutorial, point your friends to this link: http://undergroundcrafter.com/blog/2017/01/09/pancake-jar-mix-with-vinyl-decorated-milk-bottle. Thanks for supporting indie bloggers! If you make your own Pancake Breakfast for Two Mix or Vinyl-Decorated Milk Bottle, I’d love to see it! Share your progress and questions by tagging me on Facebook as @Underground Crafter, Instragram as @ucrafter, or Twitter as @ucrafter. Sign up for my weekly newsletter and get a coupon code for your choice of one of my premium crochet or knitting patterns and other subscriber goodies. Plus, you’ll never miss one of my free patterns, tutorials, or recipes again!